LinkedIn is the largest social-network for job-related posts. When sharing something on the platform or sharing your profile link, it's beneficial to use a Linkedin URL shortener. First, let's cover how a LinkedIn URL shortener can be beneficial when sharing your LinkedIn profile on business cards or on a Resume/CV. 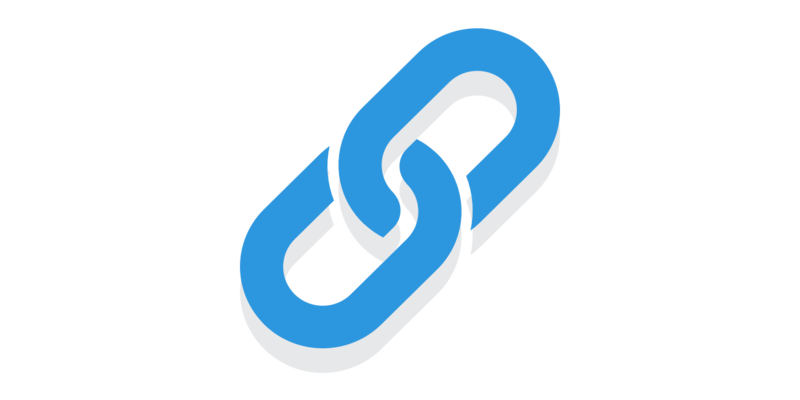 When sharing the link to your LinkedIn profile or even your portfolio, it's beneficial to use a branded link, rather than a generic LinkedIn URL shortener. Create branded links that lead to your LinkedIn profile right in the Rebrandly platform or use our Chrome extension which gives you a one-click option to rebrand every link directly on the platform. For example, check out the image below showcasing a business card with a link that leads directly to Davide de Guz's LinkedIn profile. This is extremely beneficial at conferences and events when you're focused on networking. Or even if you're speaking at an event and want the audience to connect with you after - share this link at the end of the presentation. It's memorable and easy to type into browsers. Use branded links when sharing on LinkedIn rather than using a generic Linkedin URL shortener. It is extremely easy to create links right in the browser to share on Linkedin. If you are using Google Chrome you can easily use Rebrandly as your LinkedIn URL shortener and share custom short links on Linkedin with one click by downloading Rebrandly's Chrome extension and using the automatic link detection feature. Important:LinkedIn automatically replaces vanity URLs with LinkedIn's own generic short URLs using a tool built into their system. In order to ensure your branded links appear in your LinkedIn posts, your links must be 26 characters or less in length and there must be text following the link. (Meaning you shouldn't just post a link on its own, and make sure you don't finish your sentence with the link.) Using branded links in LinkedIn comments will not result in them being automatically shortened. I am having a lot of trouble trying to get a Rebrandly link to work on LinkedIn. I've followed the instructions and it comes up with that extension is being blocked by the server.....how do I fix and work with that? Hi Catherine, thanks for getting in touch! Unfortunately LinkedIn does not allow 3rd party extensions, so you'll have to rebrand your LinkedIn links directly from your Rebrandly dashboard. Also, bear in mind, LinkedIn will automatically transform your link with their own URL shortener unless it's 26 characters or less- including https://. There's no workaround for that at the minute, so keep your LinkedIn branded links short!